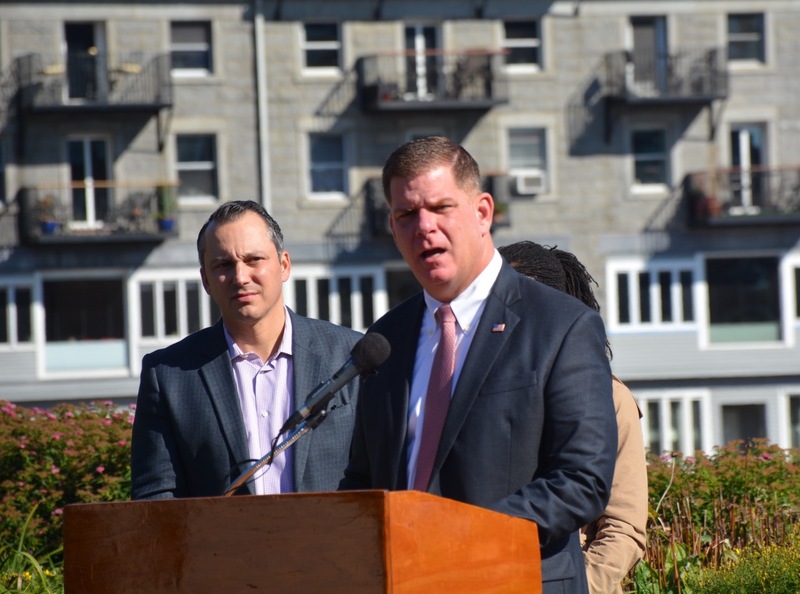 Mayor Marty Walsh announced that Boston has achieved the goal of “100% access” to public parks for all residents. Walsh made the announcement at Christopher Columbus Park on Friday. 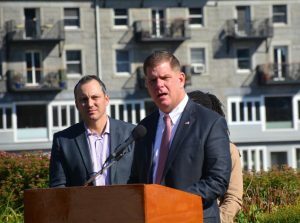 As part of the 10-Minute Walk Campaign, Boston and other cities pledged to work toward having a public park within a 10 minute walk of any given resident’s home. Boston currently has 217 city parks, all of which are maintained by the Department of Parks and Recreation. Marie Fukuda, a Representative for Boston Parks Advocates, said that these parks are “gymnasiums for kids” and “paradises for residents to escape.” The advocacy group has worked to increase funding for the Boston Parks and Recreation Department and work with lawmakers to preserve and create greenspaces across the city. Boston has been working to achieve the goal of having a park 10 minutes away from any Boston resident for five years, according to Walsh. Many parks are not only pleasing to the eyes, but are also designed to protect against floodwater and sea level rise as part of the Climate Ready Boston initiative. “A resilient, climate-ready Boston Harbor presents an opportunity to protect Boston, connect Boston, and enhance Boston,” Walsh said Wednesday in a speech to the Greater Boston Chamber of Commerce.